Let me tell you: the trailer is deceptive. I had zero expectations before going to watch Pari. None. Truth be told, when it comes to horror films, more often than not, high expectations meet an uninspired script, amateurish acting and faulty CGI. The result is a major disappointment. Sadly, that is exactly what Pari offers. But what the film really lacks is a storyline. The film starts with a family of three moving into their new home in the middle of nowhere. The mother (Mahwish), and daughter (Pari) sense a weird presence in the house, but the father (Shahraam) is unsuspecting. The parents notice a change in Pari’s behaviour and this concern soon gives rise to tension between the two. They are repeatedly warned by a man from the woods who forebodes that their daughter will lead to their doom. However, they pay no heed to him. After a series of unexplained frightening events in the house and a tragic death, Mahwish’s guilt gets the better of her and she writes a note to Shahraam disclosing that their daughter is in fact the devil. She reveals that their daughter died a year ago and she tried to bring her back to life using black magic. Mahwish tries to commit suicide but Shahraam manages to take her to the hospital in time. Seeking help, the father tries to locate the man from the woods and chances upon a mufti sahab who knowing his pain offers advice. Shahraam does what he is told and manages to kill the devil eventually, also losing his daughter in the process. Mahwish’s health is restored and the two bury their daughter and resume their lives in the same house. The film unsuccessfully tries to weave together a story with no coherence or connection and ends up leaving the audience perplexed. The audience is set up to believe that the girl Pari is the focus, however, less than halfway into the film, the story changes course and becomes about the father, with some focus on the mother. Pari disappears in the background, till needed towards the middle and end of the film. 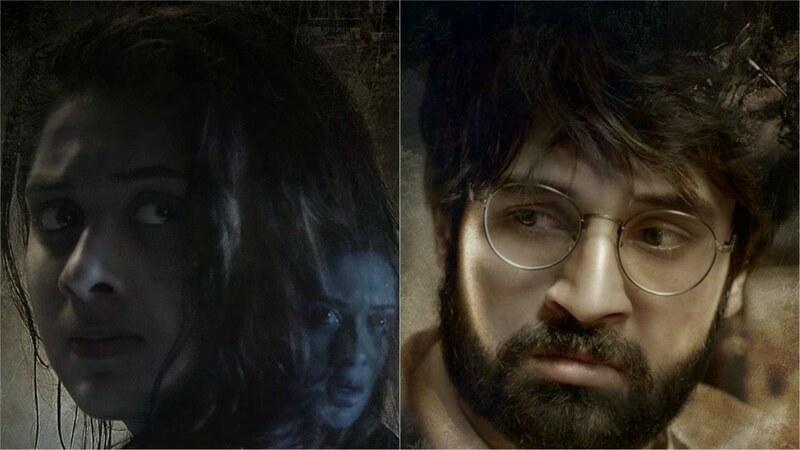 Pari’s loose transformation in the first half from a normal girl to someone who is possessed reroutes in the last twenty minutes when the audience (and Shahraam) is made aware that the girl is in fact the devil. 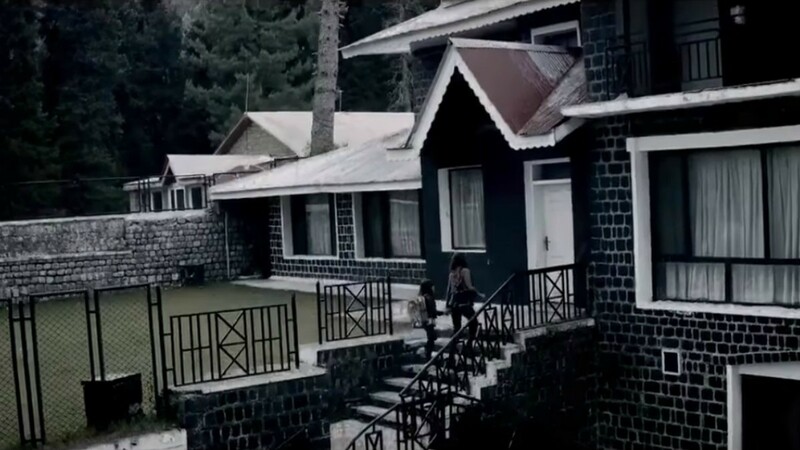 In one scene, Pari is shown walking in the middle of the woods towards a large tree. Crows circling the area die and fall to the ground, the tree sheds it leaves. The scene switches abruptly to a man in the woods, twirling around with visions of Pari in the woods. Who is this man? Where did he come from? What is his purpose in the film? We don’t know. The choppy editing paired with an introduction to new faces in the story do little to help the plot. The story of the man in the woods is only revealed in the last ten minutes of the film, when we find out that he was a doctor who used to live in the house prior to the family. His son (the ghost of the little boy) still haunts the house and after losing him to murder, the doctor goes mad and finds recluse in the spiritual world. There is still a lack of connect between the family and this man and his son. We never find out what the purpose of the man is. The first half of the film features one ghost, of the boy, but towards the second half we see the ghost of a nun haunting Mahwish. The ghost of the boy disappears in the middle and reappears towards the end. His purpose in the film is unestablished. He’s just a spirit lurking around in the house. Another shadow that follows the man in the woods is left unexplained. Overall Pari borrows too many elements from various horror films and loses the plot. Doors creaking, swinging shut. Dead crows. Rocking chair. Candle blowing out. Sudden ghost appearances. Lights going out. Crazy person who is ultimately the deliverer. And you can guess the rest. Pari mainly fails to deliver because it hinges on to the same humdrum checklist every horror film employs; resulting in a film severely lacking originality, imagination and being disappointingly predictive. Perhaps what made the experience worse was that the above are used ad nauseam, till everyone in the audience was begging for the doors to stop slamming shut. The story of a family moving to a new house triggers the first yawn. Minutes into the film Pari witnesses a door banging in front of her and the bathroom door knob turning aggressively. Cue second yawn. The door flinging continues scene after scene; when Shahraam is working on his laptop late at night; when Mahwish goes to her bedroom; when the professor – who comes to visit the family – makes his way to one of the rooms during lights out. In another scene, Mahwish is shown praying at nighttime, a rocking chair strategically placed beside her prayer mat… we all know the purpose of an empty rocking chair. It did what it was supposed to do. It started rocking. Third yawn. Here’s the problem with predictability, it kills the suspense and the film ends up giving you the laughs instead. The only time my heart leaped in fear was when Mahwish tears away from the prayer mat to look for Pari, in one fast movement the mat suddenly jerks off the ground and hurls across the room – this took a total of one second. That’s the closest this film got to giving me a scare. A flashback of Shahraam and Mahwish’s first interaction reveals that the two shared a student-teacher relationship which snowballed into an intimate affair in and outside of university, eventually leading to marriage. The film fails to recognise that this act between the two is a crime especially when a minor is involved, it can fall under sexual harassment and possibly land the teacher behind bars. Furthermore, showing and promoting such a relationship dynamic can heavily influence minors and pave the way for ideas creating a grey area between what’s acceptable and unacceptable in the professional world. The lack of attention given to the female leads in the film is troubling, but what’s more worrisome is the treatment of the only woman, Mahwish, at the hands of the men she interacts with. Mahwish is shown as careless, irresponsible, irrational, irritable and moody, while her male counterpart Shahraam is the calm, cool, collected one in the relationship. Though this could be owing to the age gap between the two and difference in maturity level (see point above), I find it rather reckless that her role is reduced to one of being puerile. During one of their arguments, Mahwish hopes to make it up to Shahraam by making him coffee, he refuses to drink it and in return Mahwish strikes the mug and storms off causing the coffee to spill over his work. She is later seen hanging her head in shame while Shahraam scolds her for her actions. Her reaction is to walk away crying. Mahwish and Shahraam share an unhealthy relationship. Their relationships goes downhill when the professor questions Mahwish about Pari. He asks, “Whose blood is this child? Tell the truth!” causing Shahraam to immediately second-guess his wife. Shahraam yells and demands to know the answer. She looks at him helplessly while he continues to shout. She remains silent. He grabs his belongings from their room, she grabs him by the shoulder to stop him but he shrugs and walks away. She remains silent. She makes him coffee, but he takes it from her hand, pours it on the floor and hands the empty mug back to her. She remains silent and walks off. . The film never fully grants Mahwish the opportunity to speak, ultimately giving Shahraam the upperhand. His lines to Mahwish like, “Everything is going according to the way you want it,” and “You know I can never get mad at you,” automatically place sympathy in the hands of the husband, irrespective of his treatment towards Mahwish. Mahwish is only granted one scene to talk and explain herself: when she’s on the balcony with Shahraam. He mentions her odd behaviour since they moved and grabs her arm when she tries to walk away, demanding an answer. She lets off steam and calls him out for never listening to her. His response to Mahwish’s outburst is, “Would you like some water?” which only trivialises her suffering. A holistic picture of their relationship can be summed up by calling Mahwish the problem and Shahraam the saviour. 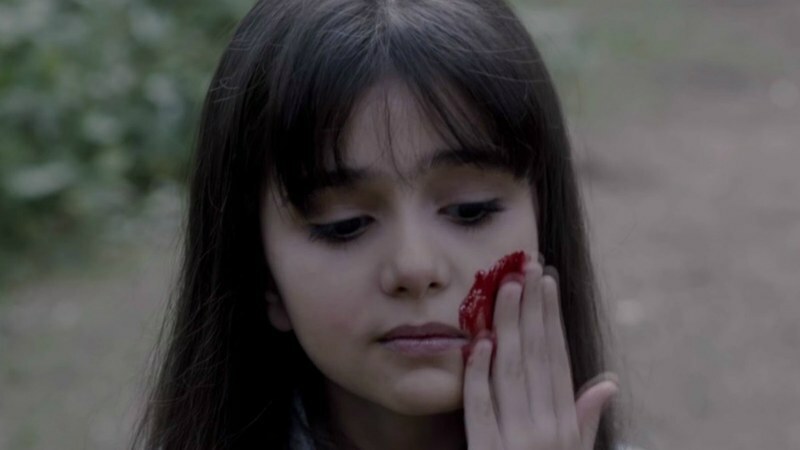 Mahwish brings about the demon child, finds no solution to it and attempts suicide, Shahraam manages to find the solution, kills the demon and saves Mahwish. It’s never a good idea to get into the science vs religion debate, especially when there is a significant lack of healthy discourse, but Pari goes ahead and argues anyway. Shahraam being the non-believer represents science and Mahwish (for the most part) along with the mufti and the jungle man represent religion. Shahraam gets shade for being a non-believer throughout the film; by his wife when they argue on the balcony. “I told you I wanted to get Quran khani done in this house but you refused calling it nonsense,” yells back Mahwish. His favourite professor who he speaks highly of also taunts Shahraam’s lack of religion whenever possible. When the professor’s interactions with Pari do not go as pleasantly as he’d hoped, he is quick to throw shade at the father by saying, “Yeh toh is hi ki beti ho sakhti hai” (she is surely Shahraam’s daughter) – suggesting that Pari’s unfriendly demeanour stems due to the father’s his lack of belief. The ending gets even more absurd as Shahraam encounters the mufti sahab who plays the role of the oracle in the film. He says, “We all came from the earth and to earth we must return.” His solution to Shahraam’s problems is guised in a question: Did you offer prayers? Taking cue from the mufti sahab, Shahraam sets out to bury his daughter… alive. Unfortunately his daughter takes the form of the devil and attacks him. When all else fails to kill the devil child, Shahraam recalls mufti sahab‘s question to him and immediately stands up in prayer. The devil tries attacking him but fails as the prayer stops it from getting close to Shahraam and ultimately causes its demise. Verdict: A far cry from being scary, Pari drags on mindlessly and leaves the audience with a senseless plot and excessive close-up shots which do less to create impact and only accentuate the poor makeup job. Given that in our society we so strongly believe in jinns and the other worldly, Pari could’ve easily cashed in on our culture’s obsession with the supernatural. Unfortunately, the film is a missed opportunity.